Baseball’s diversity, whether on the field or in the front office, always has been constantly but under-whelmingly discussed. Mostly it’s the same old story — the “We’re working on it, we need to do better” fill-in-the-blanks retort. The topic of diversity surprisingly dominated the reporters’ questions during Manfred’s nearly 15-minute August 22 press conference. This columnist asked him to define diversity and explain who is ultimately responsible for it and for attracting more Blacks to games. However, on the field, U.S.-born Black players on too many MLB clubs, including the Twins, resemble pre-Jackie Robinson days — the only difference is that the number of Latin and foreign-born players is more noticeable these days. Minnesota outfielder Byron Buxton was one of the 7.7 percent of Blacks on MLB rosters this past spring’s opening day, but he later got injured and was sent down to the minors for rehab. 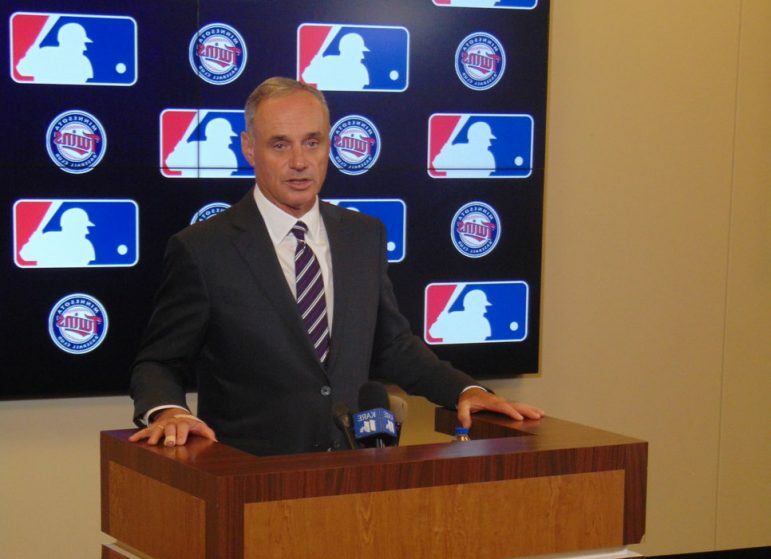 Manfred admitted, “[They] have to see people that look like them” when asked about the lack of Black fans in the downtown Minneapolis ballpark. “I think it does begin with the product on the field. We don’t have enough African Americans in player development. You have to start at the bottom and it has to be slow” given baseball’s traditionally deliberate path to the majors by all players. He then lauded MLB’s improved marketing efforts to Blacks and other people of color. “We have devoted an extensive amount of effort in marketing to traditional underserved communities,” he told us. If that’s the case, the Twins’ marketing group hasn’t gotten the memo. I’ve yet to see any Twins billboards on West Broadway or Plymouth Avenue on Minneapolis’ North Side. Tables staffed by Twins representatives are missing from the local big-box supermarket. It’s been a couple of years since players were in the ‘hood passing out bats, balls and gloves. The occasional ads placed in this newspaper don’t seem to have produced a rush of Blacks to the ticket booth. Still, Minnesota in recent years has made some progress as far as diversity is concerned. Former Twins Torii Hunter and LaTroy Hawkins were hired as baseball operations special assistants, and in successive seasons James Rowson and Garvin Alston were hired as batting coach and pitching coach, respectively. 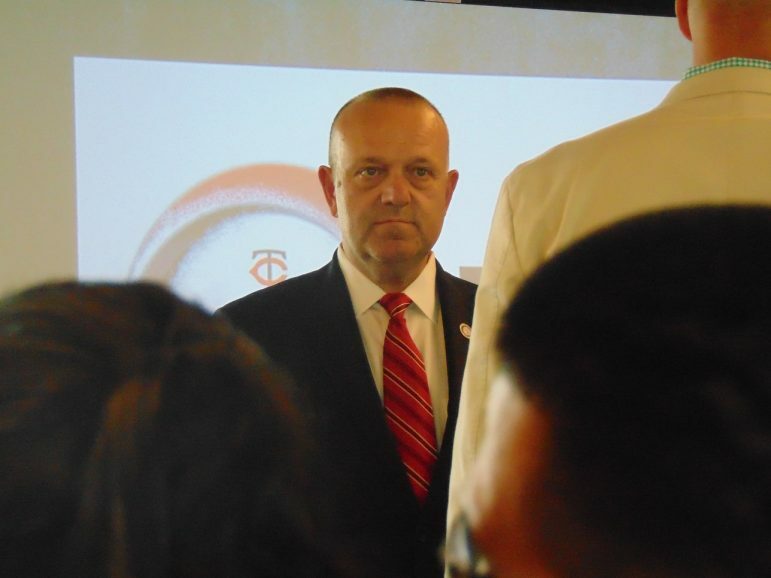 “There’s more we can do,” Twins President Dave St. Peter told me after we talked to Manfred. He suggested that perhaps his staff could do better in offering storylines on Black players in the organization, even stories on local RBI participants. Baseball’s diversity “overall is pretty good,” the commissioner declared.